Annapolis, Md. — The Maryland Department of Transportation (MDOT) is holding an international industry forum on Dec. 13 at the BWI Marriott about Maryland’s transformational Traffic Relief Plan (TRP) unveiled mid-September. Registration is required for the forum, scheduled from 8:30 a.m. to 12 p.m., and is open to industry professionals. The forum presentations will include an overview of the $7.6 billion public-private partnership plan to add four express lanes (two in each direction) to I-495 (Capital Beltway) and I-270 in Prince George’s and Montgomery counties, as well as specifics concerning Maryland’s P3 laws and process. Industry responses to the Request for Information are due Dec. 20. 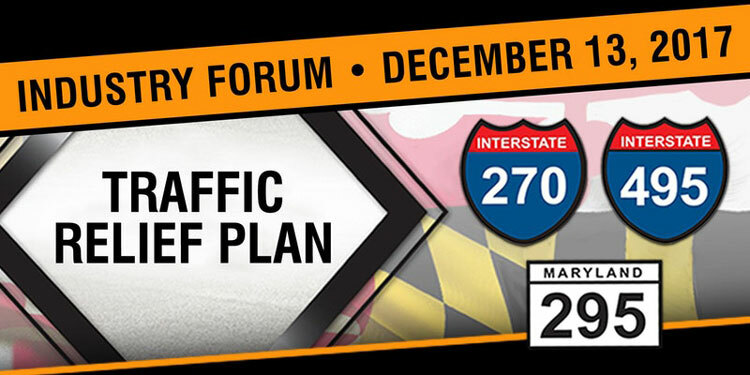 Those interested in attending the forum should visit www.MDTrafficReliefP3.com to register by Dec. 8, 2017.